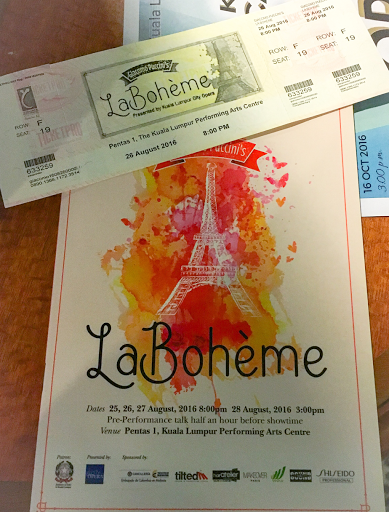 My friend, Wee Yin and I attended an opera performance this evening: La Bohème by the Kuala Lumpur City Opera. I went for two reasons. My good friend Ee-Tan is in the chorus and I wanted to support her. The other reason is I have not been to an opera before and thought it was time I go see one. It was very good. 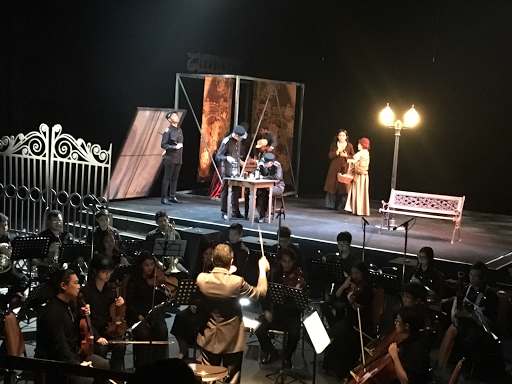 The tenor Yap Jin Hin who played Rodolfo is an excellent singer, as well as Fang-Hao who played Marcello. Excellent voices. 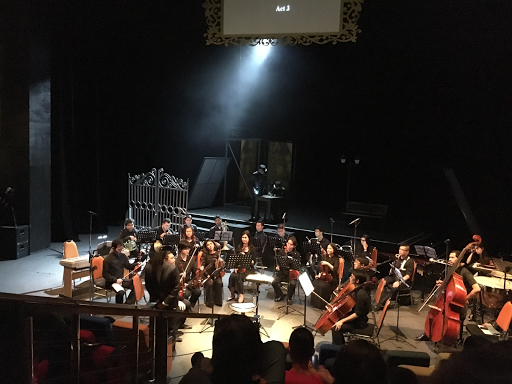 The only one thing I did think whilst in the midst of watching was that it is indeed a little weird to see Chinese people singing in Italian and playing Italian roles. We got very good seats in the middle of the auditorium. The only not so good thing was that the screen where the English subtitles were displayed was at the top of the hall. We had to look up and down way too often. I'd either lose the understanding of what they were singing or lose concentration of what they were doing. 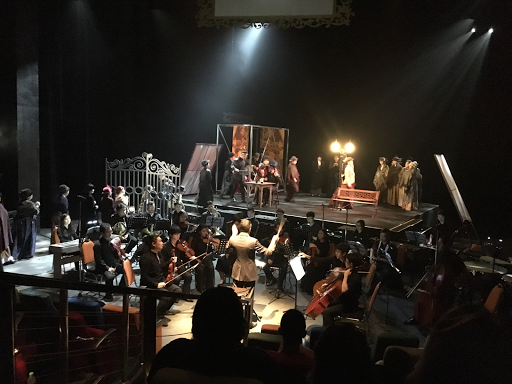 At the start of Act 3. Wee Yin and I agreed that the next opera we should watch is a Chinese opera.